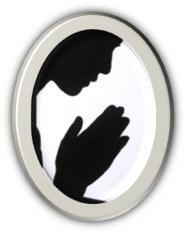 If you, or someone you know, would like to be added to the prayer list, please let the office know at: (269) 273-9571. Without prayer we lose sight of God. Living a prayerful life is living a powerful life. image009.pngSpecial thanks to the American Legion Hice Shutes Post 170 for the donation of our new American Flag in the sanctuary. Kent Drake made the arrangements for its procurement and the proper disposal of the old flag. image019.pngONLY a few more days!! !, Are you aware that the scouts would like to thank all of us for allowing them to hold their meetings here by hosting a free soup luncheon. This scrumptious soup luncheon will be served immediately following the 10:30 worship service next Sunday. I can hardly wait, because after our soup luncheon, the scouts are going to have a fund raising bake sale. And, be still my heart,…if that is not exciting enough, they will then hold a bake goods auction. (What? Really!!?!) Be careful and do NOT sit too close to me during the auction because I am looking at the same baked goods you are!!! A big THANK YOU goes out to Marty Smith for donating the Children’s Letters to God book. I will use this all the time!!! I hope that you will enjoy these letters as much as I do!